The four police forces of the East Midlands Operational Support Service (EMOpSS) are supporting a national campaign to raise awareness about tough new penalties for driving while using a mobile phone. From March 1 2017, drivers will receive six points on their driving licence and receive a £200 fine. These changes will have a significant impact on young drivers in particular as they risk having their driving licence revoked following a first offence. Motorists will no longer be offered the opportunity to go on a driver awareness course. 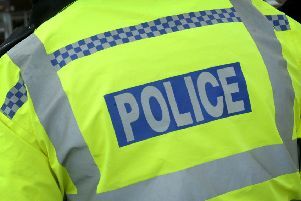 Police forces, including the four forces of EMopSS, are working with road safety partnerships and the government during a week long campaign (from Monday 23 January to Sunday 29 January) to increase awareness of the changes to the legislation – the focus of the campaign is mainly on education. A second campaign will run in March which will focus more heavily on enforcement. It is illegal to use a mobile phone, held in the hand, whilst driving or while stopped with the engine on, it has been illegal since December 2003 but there has been a worrying shift in attitudes to mobile phone use behind the wheel. The RAC surveyed 1,714 motorists and 31% of them said they used a handheld phone behind the wheel compared with 8% in 2014. EMOpSS has been running a hard hitting campaign to highlight the horrific consequences of driving on a mobile phone under the banner #itcanwait. Officers have made a film with Liese Bowers-Straw from Kirkby in Ashfield who was left with serious injuries following a collision on the M1 in November 2014. The collision was caused by a driver who was using her mobile phone while driving. A Fatal4 clinic will be held in Leicestershire during the week and officers and Special Constables will be patrolling in unmarked cars to tackle drivers on their mobiles. National Police Chiefs’ Council Lead for Roads Policing, Chief Constable Suzette Davenport said: “This week forces will be working to make driving distracted as socially unacceptable as drink driving through enforcing strong deterrents and powerful messages to make people think twice about their driving habits. “Encouraging results from last year’s campaign against mobile phone use show how effective new tactics and innovative approaches can be. Officers will continue to use intelligence-led tactics to target police activity and resources and catch repeat offenders. You can follow the campaign on social using the following hashtags: #eyesontheroad #mindsontheroad #itcanwait and #dontriskit.